The bass is one of the most under-appreciated instruments of all time. There have been thousands of songs written throughout history that would be nothing without their bass line. Our professional tutors have put in the years perfecting their craft and they are here to pass on their knowledge and skills to have you thundering away and stage-ready in no time. How will tuition help me as a bassist? As a beginner, it will give you a huge head start. You’ll learn new riffs and gain access to in-depth musical knowledge that will give you the answers to all the questions you’ve had since you started – even the most advanced players can benefit from tailored, one on one bass lessons. Doncaster is now home to the perfect place to take your playing to the next level! What will I gain by taking bass lessons? We’ll help you off the starting blocks with beginner skills such as plucking and fretting strings, then we’ll move onto more advanced aspects of playing and dive into specific styles. Further your technique to play quicker and easier. We’ll have you flying around the fretboard in no time. Building up your scales and chord tones will help you develop your playing up to the advanced level. Training your ear means you’ll be able to play songs just by hearing them. You won’t have to rely on sheet music or tabs any longer. There are many different styles of bass: rock, funk, slap, reggae and more. Getting a good grasp of them all will make you a better player. Being a dab hand with the low notes often comes down to rhythm and groove. We’ll set you on the path to ‘playing in the pocket’. Want to get into slap bass? Maybe even do a little tapping? Specialist techniques are something we cover. Rock, Funk, Jazz or Pop – Can I learn any style? Maybe you’d like to learn a specific style of playing, or maybe you’re looking to stretch outside that comfort zone and widen your abilities as a bassist. Our tutors can teach everything you need to boom out those awesome bass lines in any style, from famous rock riffs to super smooth jazz or funky slap bass lines. Dedicating time to learn new skills, techniques and bass lines from a professional player will help to boost your abilities at any level, and you’ll notice your confidence will grow too. 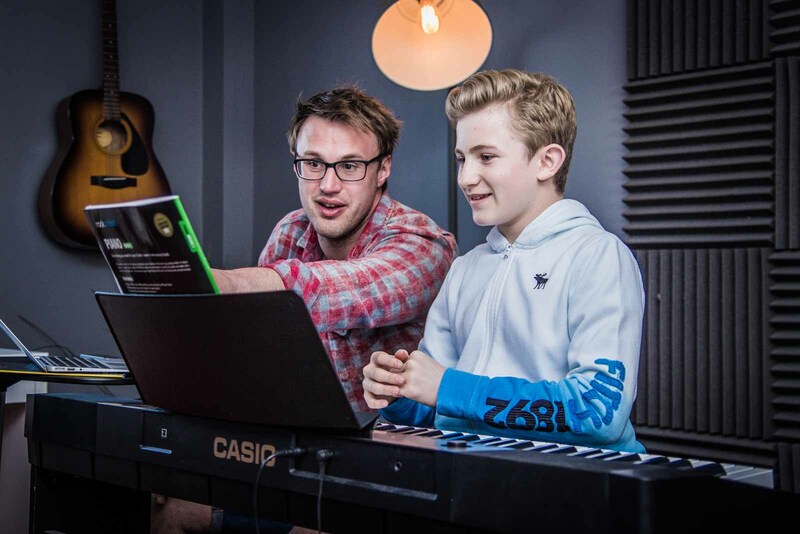 It doesn’t matter if you’re 7 or 70, whether you’ve been playing for years or you’ve never even picked up a bass before, taking private tuition with one of our expert tutors will get you to where you want to be. You’ll be learning in our newly kitted out facility for bass lessons – Doncaster’s very own Amped Up Music Academy. It’s always easier to learn in a fresh, chilled out environment, and to make things even simpler we are nestled close to all of Doncaster’s key transport links and just minutes away from Junction 3 of the M18.